The woes of being limited by the fixed internal storage is something most iPhone users have experienced. Other than resorting to cloud storage, the options however have been fairly limited. 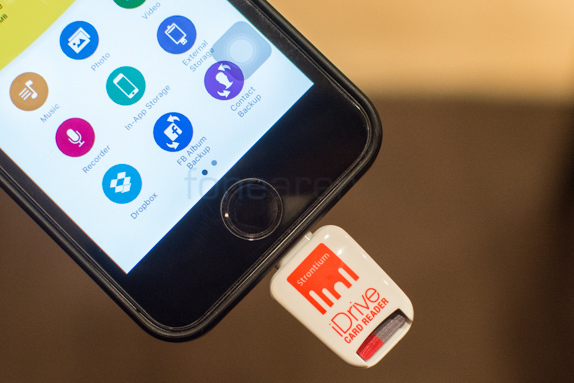 While we’ve seen lightning based flash drives for iOS devices, there’s a point to be made for using the ubiquitous microSD cards on your iPhone. The Strontium iDrive Card Reader delivers just that. The product itself is simple in build and use. 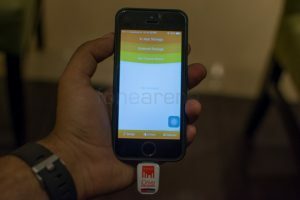 A simple card reader that plugs directly into the phone, there’s little to confuse the novice user and for the most part it is a plug and play operation. 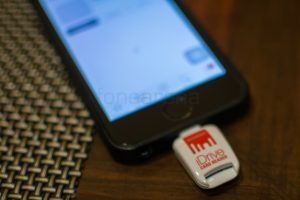 Little larger than the microSD card that it engulfs, the drive is easy to lose and a lanyard or keychain hook-up would have been much appreciated. We observed that the lightning connector on the drive is long enough to pass through a regular TPU case on the iPhone though you might have to apply a bit of pressure to ensure proper contact. That said, if you are using a heavy duty case which is thicker around the edges, you might have trouble connecting the drive to your phone. A larger cutout around the lightning connector is essential to enabling a proper connection. 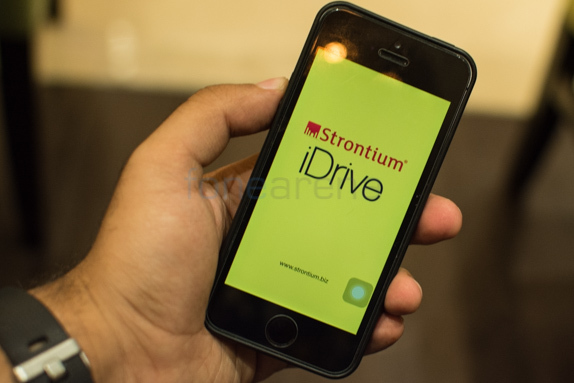 The moment you connect the drive to your iPhone, a notification will pop up asking you to install the Strontium iDrive app from the App Store. 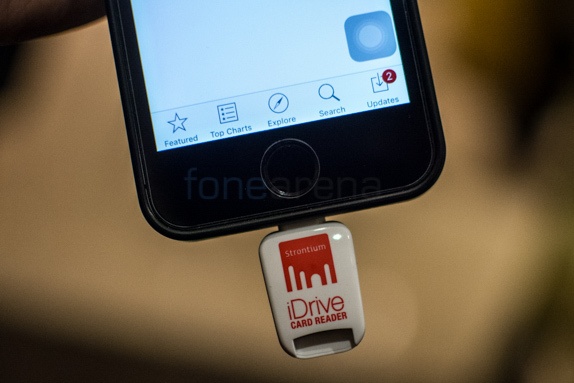 Now, unlike Android, you are definitely tied in to iDrive app for pretty much all major functionality onboard. The app itself works like any other file manager and you can view both internal and external storage using it. Music, Photos, Videos and more are segregated by categories and you can easily jump in and copy, move content. Interestingly, the app also bundled in options to tie in with your cloud data and let’s you back up not just contacts but your Facebook albums too. This is of course in addition to the regular photos, music and videos that you can easily move between the phone and your microSD card. The speed of transfer is entirely dependent on the type of memory card you are using. The bundled Strontium memory card is rated for UHS-1 speeds which ensures that all transfers take place at a speedy clip. 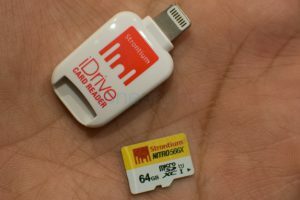 All in all, the Strontium Nitro iDrive Card Reader is a fantastic solution for someone looking to bump up their storage but we can also see this being used by photographers given the vast number of quality photo editing apps on the iPhone and iPad. 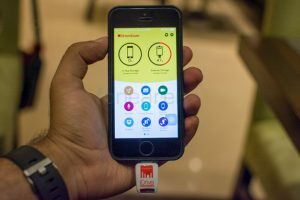 The app and card reader work perfectly well in tandem and we would definitely recommend it to all iOS users who often see themselves running out of space.